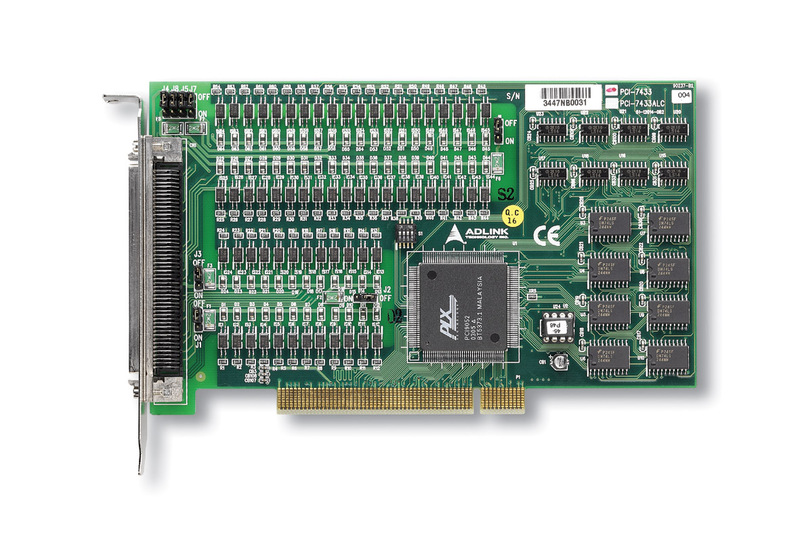 ADLINK's cPCI/PCI-743X series cards are 64-CH high-density digital input and/or output cards that provide a robust 2,500 V isolation protection and are suitable for most industrial applications. The wide input range of the cPCI/PCI-7432 and cPCI/PCI-7433 makes it easy to sense the status of external devices. 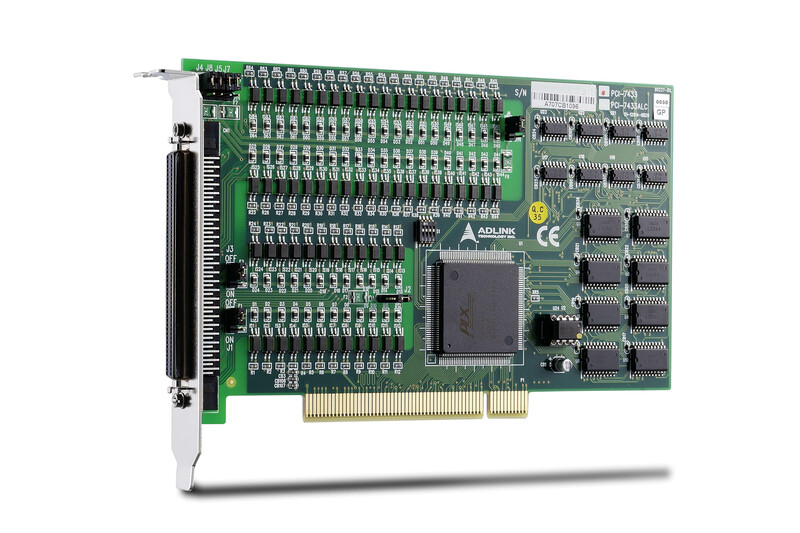 There are several options for PCI-743X series, such as normal version with input range from 0 to 24 V, as well as HIR version with high input range from 0 to 50 V. The PCI- 7433ALC is specifically designed for AC power test system. The cPCI/PCI-7432 and cPCI/PCI-7434 feature a wide output range from 5 to 35 V, suitable for relay driving and industrial automation applications. The cPCI/PCI-7432 and cPCI/PCI-7433 also provide two interrupt sources on digital input channels, which are easily configurable.